This recipe comes from a strange memory that popped up in my brain last week, and I had to share. When I lived in Sacramento I worked at a fine dining restaurant with excellent food. I worked a lot, and was there frequently, hence eating there a lot. After working in a restaurant environment, you get to know each pretty well, and the cooks start being super nice and cook you food off menu. My favorite was the skirt steak, it was on the menu, and I still have dreams about that one too. But there was this one cocktail waitress that worked almost every night. The cooks loved her! So did my brother, who also worked there. She was a bit older, beautiful, and super sweet. Everyday she worked she had the cooks make her a quick stir fry of bok choy. It was her favorite vegetable on the planet. Not only did she eat it everyday, I recall her saying it kept her young. She was maybe in her late forties, and I was twenty. So that was fifteen years ago, and I still remember so vividly, her telling me how much she loved bok choy. She said it was her fountain of youth. Now, I have no idea where she is, and that restaurant is no longer in business, so I can’t say thank you. But I can say, this recipe is for her. I just remembered it and will now be eating way more bok choy. 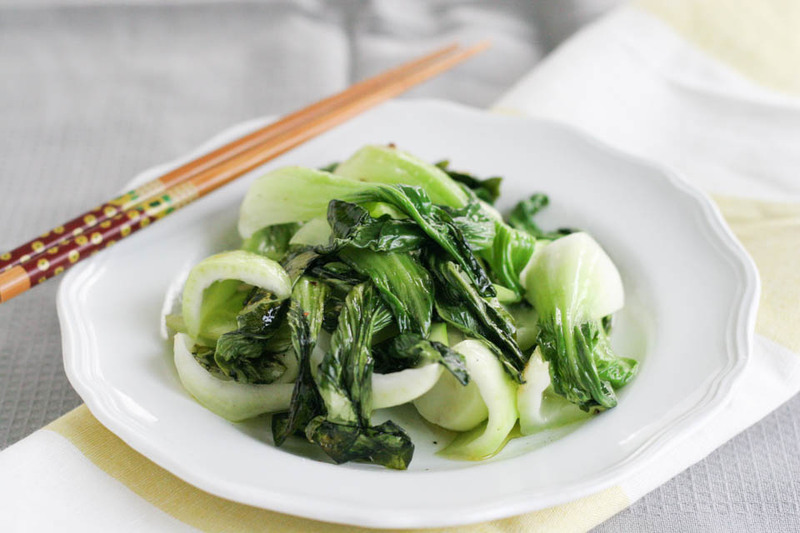 I love how easy this Stir Fry Bok Choy is, and so good! 1. Add oil to a wok or large pan over high heat. Once oil is shimmering, add red pepper flakes. Add bok choy and toss with oil. Cook on high for 3-4 minutes. Add Mirin or rice vinegar, toss to combine. Add 1/4 teaspoon fine sea salt, 1/4 teaspoon black pepper, toss to combine. Serve warm. I like to eat it with a bowl of brown rice. I love bok choy. What a fantastic yet simple recipe. Pinned. So simple but looks so tempting. I’m going to try this one! 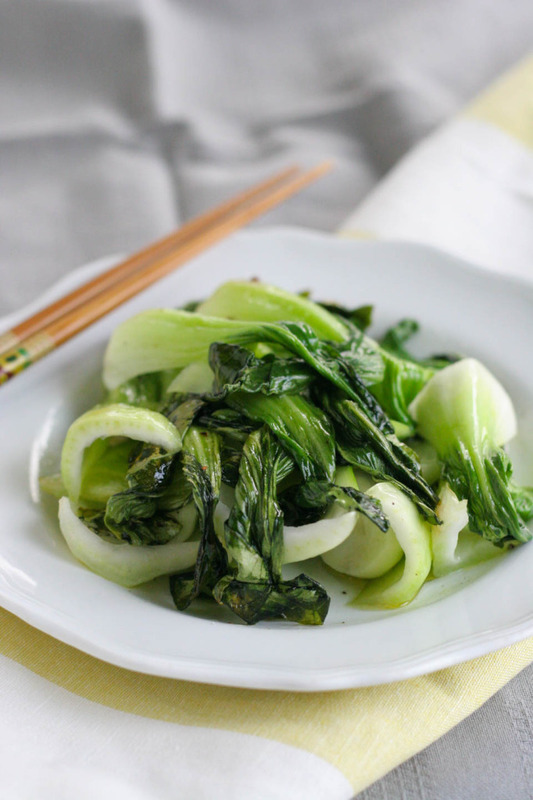 Oh, I adore bok choy! Especially the little baby ones. So healthy for ya! I love wilted bok choy. I love the flavors you have combined. Simple bok choy..but so tasty with the rice vinegar. Simple tasty food, it’s some of my favorite. This is perfect in every single way. LOVE!